French Morning vous racontait en 2014 les aventures de Luc Hardy dans les îles Sandwich du Sud, au large de l’Antarctique. Ce Français qui vit dans le Connecticut avait monté une expédition scientifique en voilier autour de ces îles, dont un film était sorti au printemps 2015. 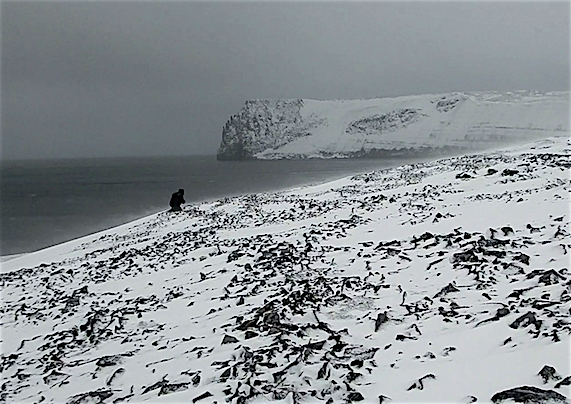 Trois ans plus tard, Luc Hardy revient avec un nouveau documentaire, Arktika Incognita, projeté en avant-première au FIAF mardi 1er mai à 4pm, dans le cadre du festival Focus on French Cinema. En 1879, à bord de l’USS Jeannette, le capitaine américain George De Long et son équipage ambitionnent de rejoindre le Pôle Nord. Ils découvrent alors cinq îles -les îles de Nouvelle-Sibérie- mais n’atteindront jamais leur objectif, échouant leur navire dans les environs. “En lisant cette histoire, je me suis dit que j’aimerais partir sur les traces de George De Long un jour. 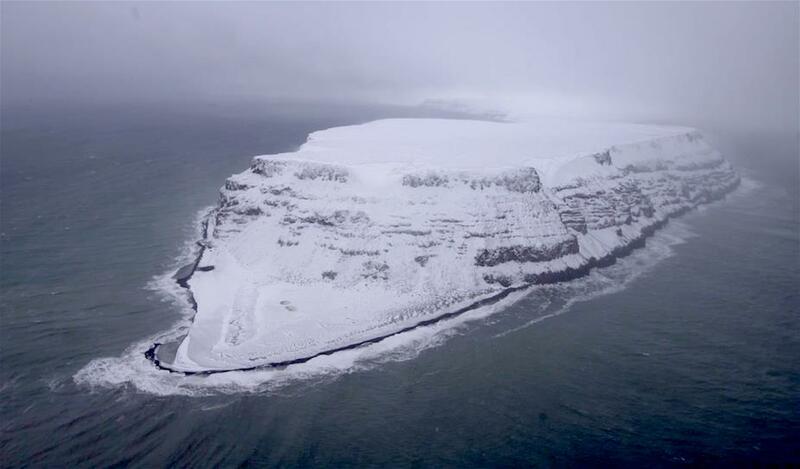 Encore aujourd’hui, les îles de Nouvelle-Sibérie font figure de terra incognita, diamants blancs sertis sur l’océan et sanctuaires de la faune sauvage”, raconte Luc Hardy. Deux ans de préparation ont été nécessaires pour mettre au point cette expédition de 15 jours en mer. “Nous sommes partis à la fin d’été 2017 pour avoir le moins de glace possible sur place. Les températures oscillaient quand même entre -20 et -10 degrés. Ce fut éprouvant physiquement même si ce n’étaient pas des conditions extrêmes”, explique le Français de 62 ans. Pour ce voyage “éco-scientifique” au bout du monde, Luc Hardy s’est entouré d’une équipe de scientifiques “pour collecter du data sur la fonte du permafrost“. Une géo-informaticienne a également aidé à cartographier les îles, et des apnéistes ont plongé sur les lieux du naufrage de l’USS Jeanette. “Notre but n’était pas forcément de retrouver le navire. Nous avons construit cette expédition pour émerveiller et sensibiliser”, confie l’explorateur. De ce voyage en “terra incognita“, le Français en garde un souvenir impérissable, celui d’avoir été le premier étranger à mettre le pied sur l’île de Jeannette. “C’est un endroit inaccessible dans le vrai sens du terme: brumeux, très rocailleux, presque mystique. Et y voir des ours polaires est toujours impressionnant”. 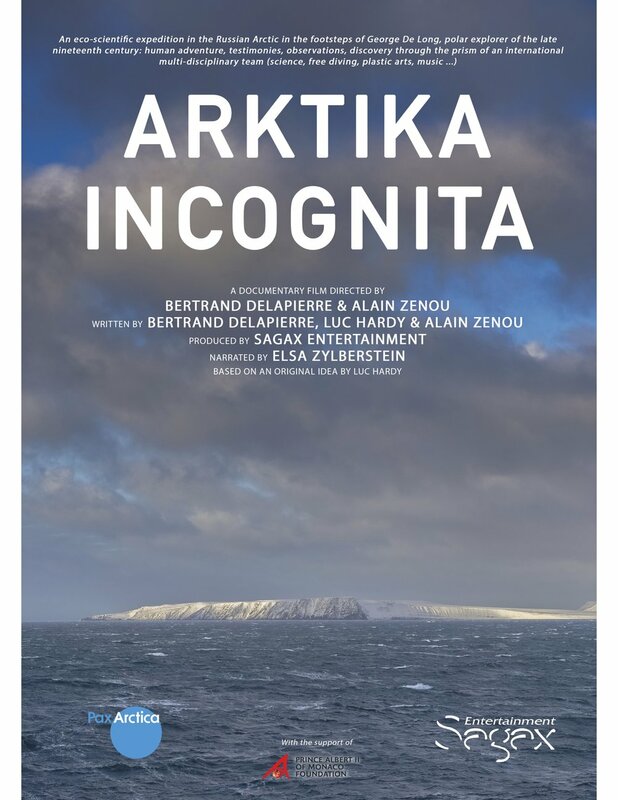 Réalisé par deux Français, Bertrand Delapierre et Alain Zenou, le documentaire Arktika Incognita témoigne de ce monde méconnu et de l’aventure humaine de son équipage, qui à la manière des explorateurs du XIXème siècle, sont partis en quête d’un horizon inconnu. “L’ironie de l’histoire, c’est que George De Long pensait que les eaux du Pôle Nord étaient chaudes. 140 ans plus tard, le réchauffement climatique est en train de lui donner raison tout doucement“, constate Luc Hardy. Zoé Koenig, chercheuse, LOCEAN de l’université Pierre et Marie Curie. Elle est l’une des 30 jeunes femmes scientifiques séléctionnées pour l’événement « Génération Jeunes Chercheuses » organisé par la Fondation L’Oréal le 11 octobre 2017. Lors de cette événement Zoé Koenig a été récompensé d'une bourse de 15 000€ en l’honneur de son parcours d’excellence. 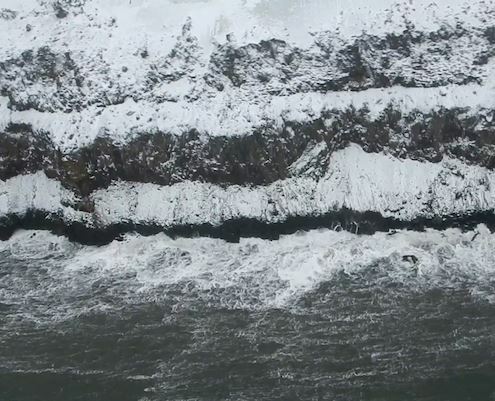 Ses travaux en tant que doctorante avaient pour objectif de comprendre l’une des origines de la fonte de la banquise du pôle Nord, plus précisément l'impact des eaux chaudes de l’océan atlantique. 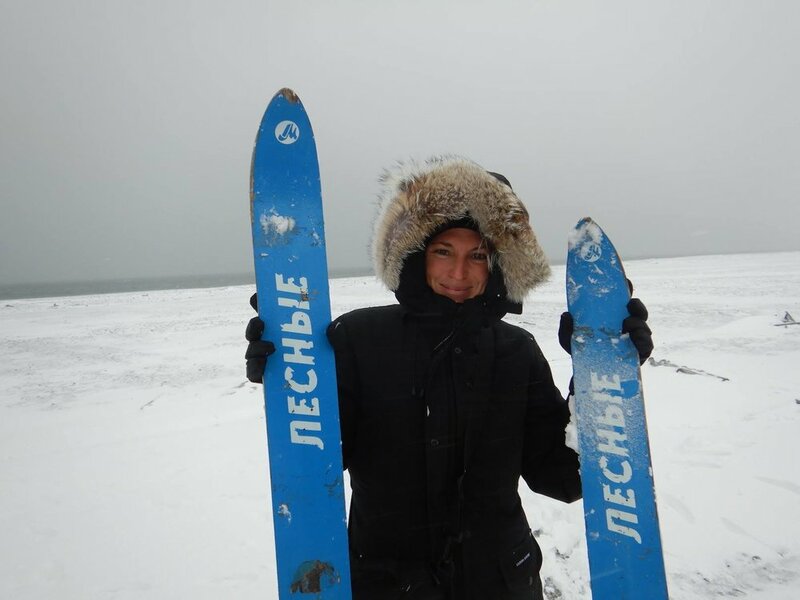 Interview of Aurore Asso (49'50"), one of the freediver (with Alexey Molchanov) by France Culture (French radio) who mentions the Pax Arctica - Russian Arctic Expedition 2017 and the forthcoming movie ARKTIKA INCOGNITA. You can also follow the Pax Arctica – Russian Arctic Expedition 2017 via my YouTube channel and the playlist dedicated here. Below the first videos we have been able to upload despite the low speed internet access! How to de-ice a helicopter on the SOMOV? Aurora Borealis: we often saw them at night from the ship during the expedition. 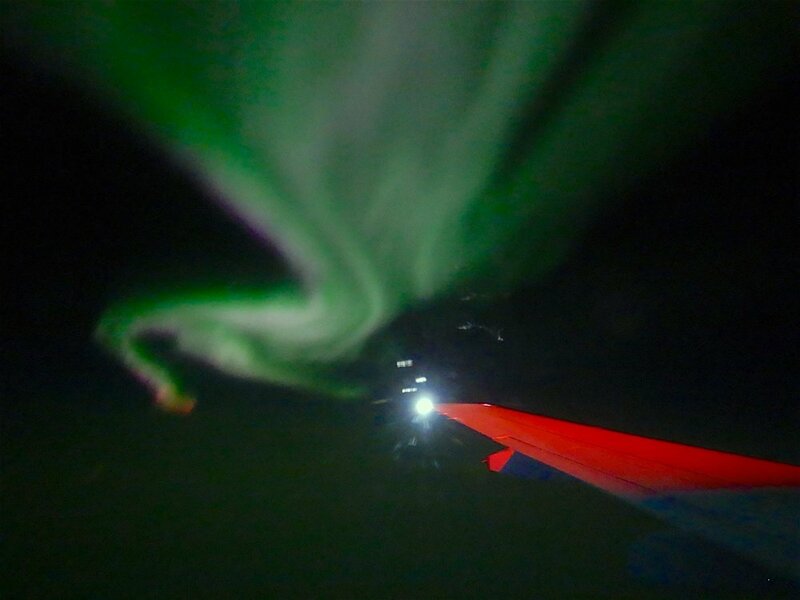 Here is one on our return flight from Tiksi to Yakutsk. The Aurora is an incredible light show caused by collisions between electrically charged particles released from the sun that enter the earth's atmosphere and collide with gases such as oxygen and nitrogen. By the way they can be seen in Antarctica too! 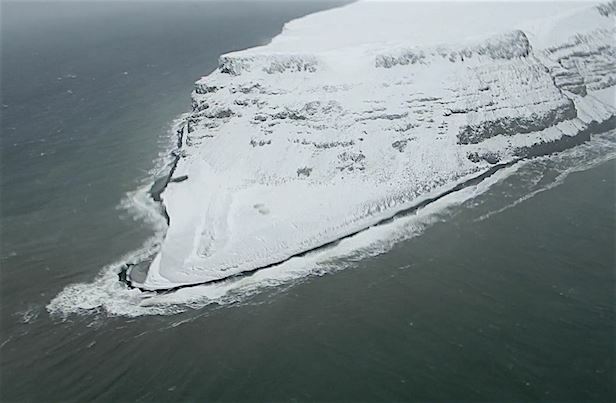 – if ice, some swells and winds not too strong: helicopter. – if no ice but swells and fog: stay on the ship! 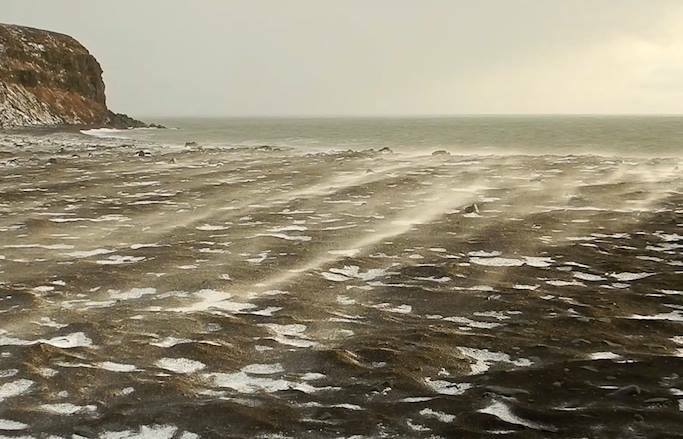 We found very little ice on the way to our exploration of the New Siberian and De Long islands: probably just a combination of currents, winds... We were very lucky to be able to access all the De Long islands as a result. Professor Alexei Tikhonov, Director of the Zoology Institute in St. Petersburg tells us everything we ever wanted to know about fauna and flora of the East Siberian Sea and its islands... What are these rocks discoveries about? 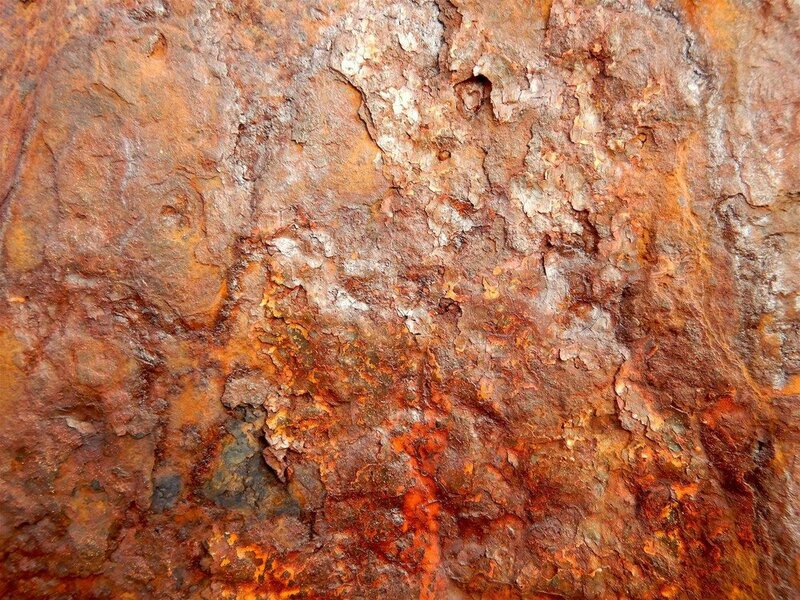 Past human presence? Answers in the expedition film! Larisa Shelokhovskaya, a senior biologist at the Ministry of Natural Resources of Yakutia enlightened us all about the richness of Yakutian fauna and flora, but also about the cleaning work from past pollution which remains to be done, especially on the Arctic coast. Alexander (r.) and Alexei, our fearless (but very safety conscious) Mig-8 pilots: from Afghanistan to the Russian Arctic. The Pax Arctica Russian Arctic Expedition combined members from Russia, the USA, France and was made possible thanks to the support of the Prince Albert II of Monaco Foundation. 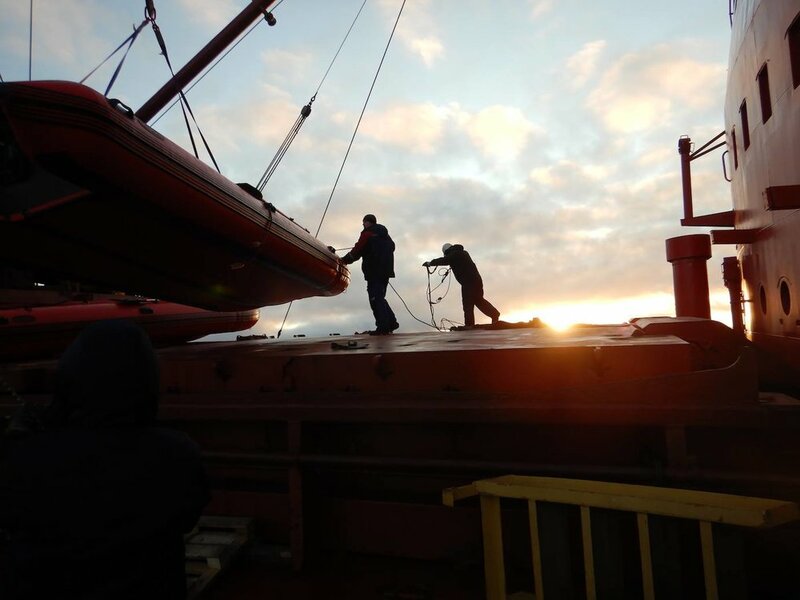 The Pax Arctica – Russian Arctic Expedition 2017 is continuing its work in the Russian Arctic. Old fuel tanks on Zhokhov Island, East Siberian Sea. Arctic fox tracks on Zhokhov Island, East Siberian Sea. The weather became quite rough when we left the Somov and we had to sail through a snow storm with a strong wind. Thankfully, the divers had put their suits on very early in the morning in the sauna of the Somov and now they were wearing their Arctic jackets and boots to keep their bodies warm until the last moment before touching the water. When we finally approached the coast, the wind was so strong that the divers were wondering if they would be able to maintain their dives. But Luc had another idea. He spotted a little bay that seemed to be sheltered from the wind. As we got closer, we suddenly noticed a huge polar bear watching us from a snowy ledge atop of a hill, staring at us for ten minutes before leaving. Aurora and Alexey finally went in the sea and discovered a pristinely clear water that reminded them of fresh mountain lakes. They didn't see any fish but rather some strange white worms and a beautiful Arctic starfish with ten branches. Once back on the ship the waves became stronger. The two divers once again ran straight to the sauna to warm their freezing bodies. We then sailed that afternoon from Henrietta to Bennett Island. While we were sailing, our musical artists were working on the ship and with the ship... Andreas and Zarina recorded noises on the Somov to be able to create some experimental music. Meanwhile, Marie transformed her cabin into an art studio, hanging the inspirational images she had gathered before the trip. She started to work on her project, a cartography of drifting polar dreams; she also discovered during a visit to the bridge that the captain has very few map coverage of this zone of the Arctic. She offered to draw the missing pieces of these maps from her imagination and was generously given a space to do so in the captain's office. We arrived at Bennett Island at 6pm and spent the night sheltered from a storm on the southern end of the island. Inside the warmth and safety of the Somov, we discussed the cold and brutal nights the crew of the USS Jeannette had to spend on their ship while trapped in the ice for those two long years. On Wednesday the weather had really deteriorated. Fog, snow, wind, and waves reminded us that we were truly in the north of the Russian Arctic. We had to wait patiently all morning in order to find the right window to make the flight over to the island. Around noon, the weather finally allowed us to take off. Bennett is a huge island, bigger than Henrietta. We landed by a beautiful beach covered in snow. Close by, we saw the remains of another old polar weather station where two old wood skis had been left behind. Alexey Molchanov found a beautiful Amethyst, another treasure from the De Long Islands. We were all very happy to walk on firm ground, shaking off our sea legs after five days at sea. Back on the boat, we are chasing the good weather to our next stop: Zhokov Island. Luc (right) with Prof. Alexei Tikhonov after a nature samples/arctifacts collecting session on Bennett Island. The Explorers Club flag! Bertrand Delapierre is one of those rare people who can take a camera along with him to the trickiest locations, and get the images for himself. He lives and works in Passy, on the route to Mont Blanc. In 1994, he left the valley to do an engineering degree in composite materials at Chambery, bringing together his passion for technology and his passion for the mountains. But his attraction to images eventually prevailed. 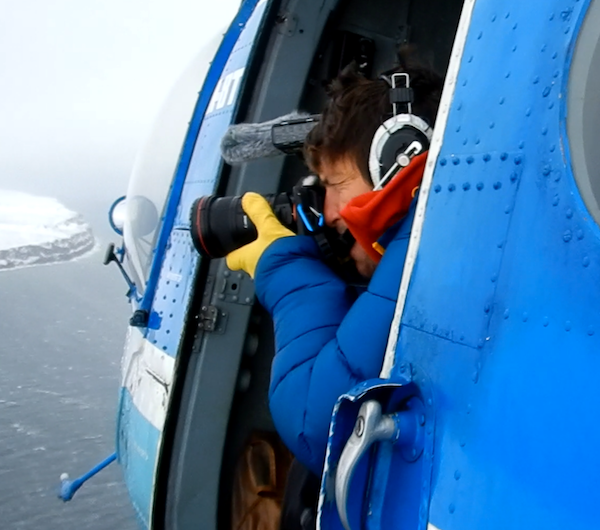 Now a director and cameraman, he began with images of surfing and skiing. A distinguished mountaineer, his knowledge has enabled him to share many steep descents in the Alps and the Himalayas with his friend and climbing partner Marco Siffredi (who was the first snowboarder to descend Mount Everest by the Norton corridor in spring 2001). His engineering knowledge enabled him to be at the origin of the first website dedicated to mountain videos. His high level of performance is omnipresent in his films, but it's simply a way of enhancing the beauty of the mountains and the intensity of a climbing story. Today we made a stop at Sannikova at 6 am to ‘deliver' 8 meteorologists and their equipment for an 8 month stay at the station. Being on the boat for 2 days now, we better understand the supply chain process. Natalya is the person in charge of it. 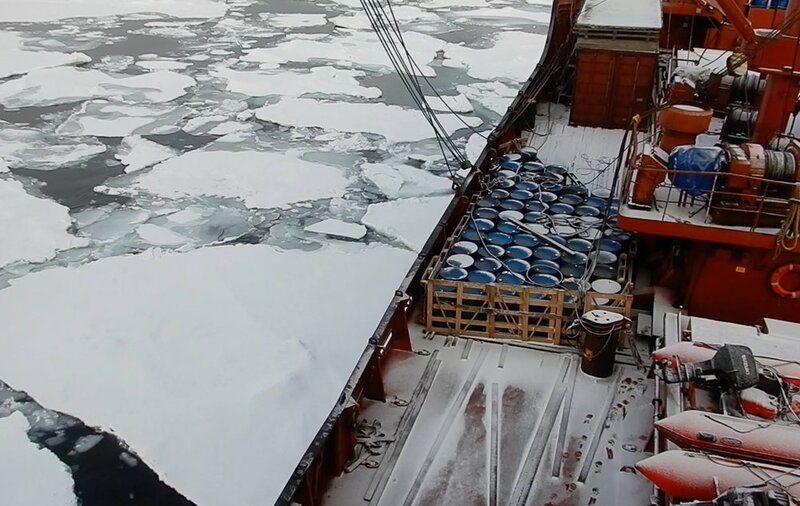 She buys all the equipment and food required in Arkhengelsk in June, and then she delivers the freight at each weather station the Somov visits. So, she and Alexander, the helicopter pilot, are the key people that keep the weather stations alive. SOMOV Captain Andrey Demeshin (l.) with film director Bertrand Delapierre. En route to Henrietta and Jeannette islands. The helicopter made 6 rounds of drop-offs, including large metal containers, at the station. The sea is very calm and the sky has beautiful colors which are diffused by an almost constant lingering fog. On the boat, people are getting to know each other. Interesting conversations are sprouting, for example, Eric and Zarina discussing shamanism at length. The former presenting his scientific knowledge in anthropology the latter expressing how she found inner strengths to transmit the Yakutian shaman culture through her music. Andreas and Zarina went to discover the impressive engine room in order to record some metallic sounds, rhythms, and vibrations that they describe as the heart of the boat to use for their music. On the SOMOV, cables or braids? Meanwhile Luc is spending his time on the bridge with the captain to check the itinerary and prepare the first stop in De Long Islands: Bennett? Henrietta? All will depend on the next weather forecasts as the relatively clement weather we have enjoyed so far might deteriorate in the next few days. Yesterday was our last day in Tiksi. The iron and steel decor had become quite familiar to us. Bertrand, Marie, Evgenia, Maxim and Luc went to the polar station to meet the meteorologists that eventually will join us on the Somov for their annual rotation on the new Siberian islands. Victor Boyarsky, our legendary polar explorer, and Igor, our dinghy boat pilot and safety guard (in case of a sudden polar bear encounter), arrived late yesterday evening. Alexey Molchanov and Nikolaï Ovsharov, joined us as well and, now with Aurora, they form the completefreediving team. 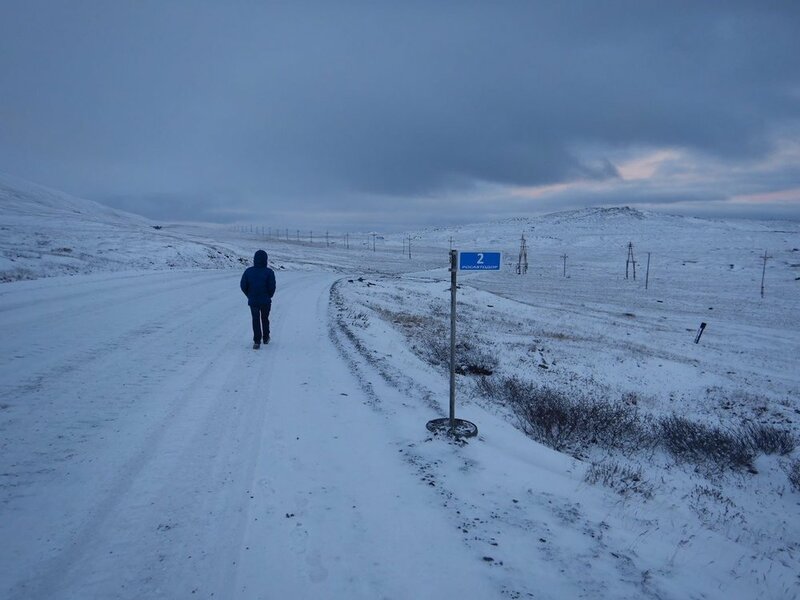 Eric Crubezy was the last to arrive in Tiksi and to join the expedition. 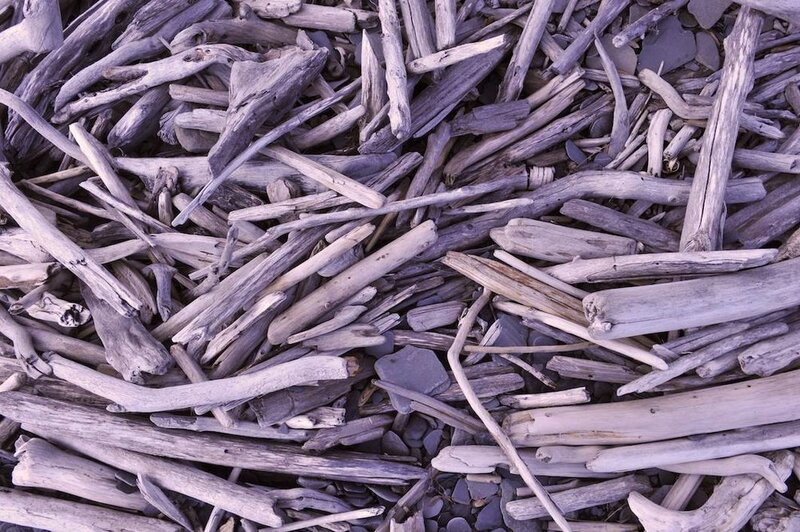 He is a brilliant anthropologist and geneticist specialising in Yakoutian history who hopes to find traces ofhuman presence on the De Long islands. Finally the Pax Arctica team is complete and united. In the afternoon we checked out of the Hotel Arctika and were transfered to the polar station where the Somov helicopter, an MI-8, was waiting for us. 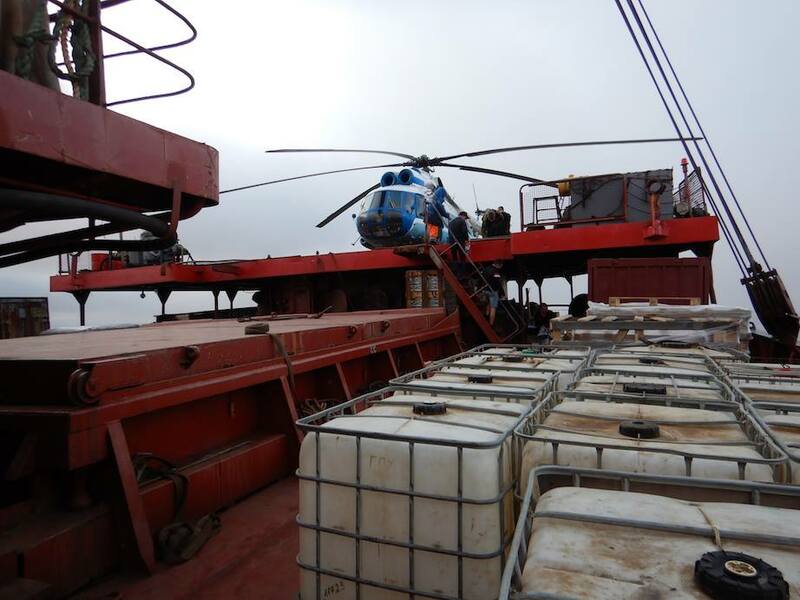 With all of our cargo and the team, we had to make two trips. The MI-8 resembles a military helicopter with two rows of seats facing at each other. Alexander, the pilotgave us the safety instructions and told us, in a very serious voice, « Don't worry, it`s as reliable as a Kalashnikov (AK-47). » He then proceeded to show us the life jackets that appeared to be vestiges of the `70s. This helicopter will be very helpful during the rest of our trip, enabling us to land on the islands when the weather or geography prevents us from landing with our dinghys. After a 7 min flight, the first group landed on the rear deck of the Somov at 6:30pm, and the second crew an hour later. 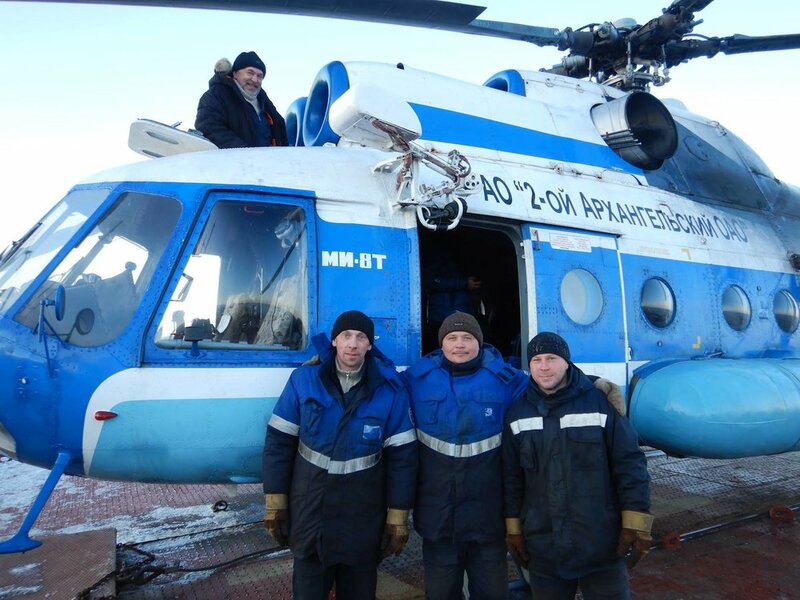 We were greeted by our captain Andrei DEMESHIN, and the crew has been very welcoming. We were shown our cabins and later had dinner together, our first meal on the red ice-class expedition vessel. It is so steady that it is difficult to know whether the ship is moving or not. Today began with a cheery radio wake-up call by Victor. Then Serguei, our deck officer, directed a live safety drill on the deck with our life jackets and the procedure in case of emergencies, where we actually entered the 60-person capacity life-boats. Later in the day we were dusted with some snow flakes in a beautiful milky sky with the sun shining through. 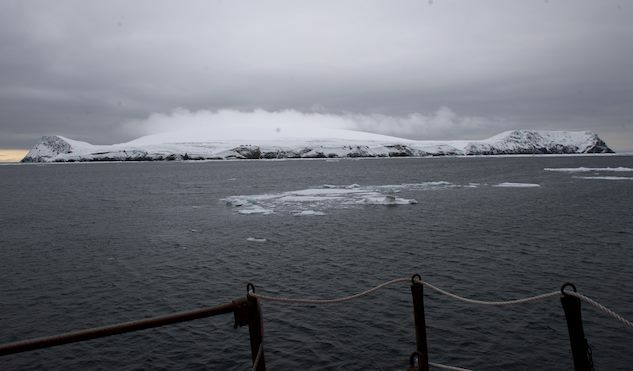 After a day of sailing, the Somov made its firstemergency stop at the Kigilyakh meteorologist station on the Lyakhovskiye Ostratova Island to leave replacement heaters. 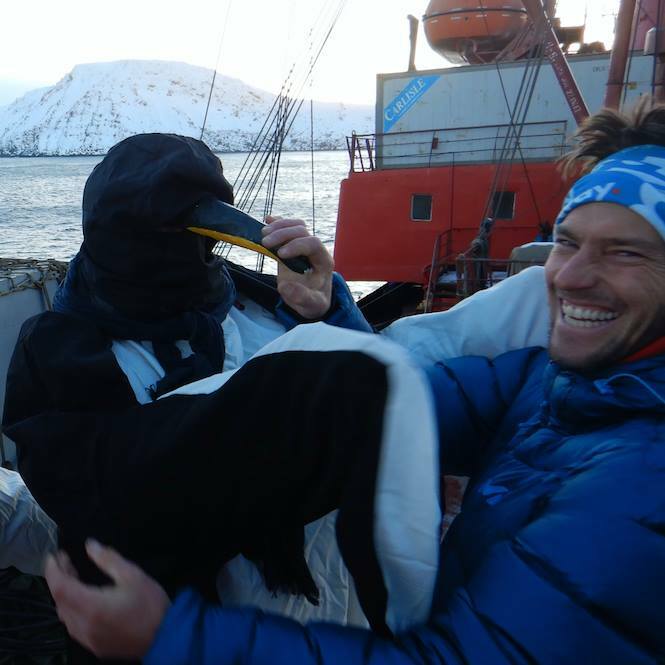 Aurore and Alexey enjoyed some stretching and physical exercices outside in the sub-zero temperatures to prepare their coming arctic dives while the helicopter made its multiple trips back and forth between the ship and the island. What an uncommon and adventurous atmosphere !!!! Third part of the focus on the team members taking part in our latest expedition: the freedivers. Third part of the focus on the team members taking part in our latest expedition. The freedivers: Alexey Molchanov, Aurore Asso and Nikolay Ovcharov. Alexey Molchanov is the deepest man in the history of competitive freediving. He achieved his first world record in 2008 in a pool discipline called Dynamic Apnea, in which he swam 250m underwater on one breath with a monofin. From there he focused on the depth discipline and began to compete in the open ocean. In 2012 he set a new world record in Sharm el Sheikh, Egypt, when he swam 125m beneath the surface – far deeper than scuba divers would ever dare explore – and back on a single breath while wearing a monofin. Later that year he broke his own record with a dive to 126m in Dean’s Blue Hole in the Bahamas, and at the 2013 AIDA World Championships, Alexey shocked the world when he broke his record yet again. 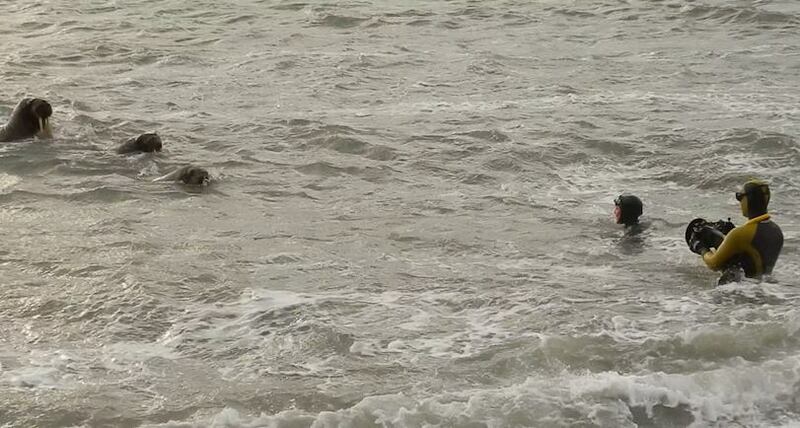 This time he was in Kalamata, Greece when he dove to 128m and back under difficult conditions. He extended that record to 129m in Baja in 2016. Overall he’s set five world records and has earned 15 combined gold, silver and bronze individual and team medals at world championship events. A former nationally ranked swimmer, Alexey took up freediving as a teenager when his mother, the late Natalia Molchanova, fell in love with the sport. She would go on to develop a branded training regiment, which included meditative techniques that turned her into the greatest competitive freediver of all time, and transformed Russia into a freediving power. Alexey has followed in her foot steps and in addition to running the Russian Freediving Federation, his Molchanovs brand produces some of the finest freediving gear available. An instructor, entrepreneur and elite athlete, Alexey Molchanov splits his time between his homes in Moscow and Dahab, runs regular training camps in Bali, Mexico and the United states, and competes all over the world. He often brings his camera and drone along with him. Given what he does and where he travels, the results are often spectacular. Aurore Asso is a world-class freediver who ranked second in depth achievement at the 2012 Freediving World Championships in Nice, France. She is France's female champion for depth freediving at sea, with a constant weight national record of 82 m (Dean's Blue Hole, Bahamas, 2014). She is also holder of two female World records : 112m under the ice in dinamica apnea (horizontal swimming) and -57m constant weight under the ice (Ikerasak, Groenland, 2015), an experience she spoke about in the documentary "Un souffle pour l'Arctique". Aurore Asso is a very committed to raising awareness about the protection of the oceans. She also took part in the Pax Arctica – Coral Libre expedition (Cuba, 2017). "I started free-diving in Greece, at the age of eight, looking for treasures at the bottom of the sea – the necks of amphorae, abalone shells, sea urchins... Then I witnessed the birth and development of this sport, which has today reached a professional level." "When you freedive, you enter a completely different universe. I don't want to know what parameters might improve my performance. I want to stay connected to my instincts, and the feeling of the water"
"A good dive is when you can leave behind on the surface everything that belongs to the surface". Follow the expedition in real time. You can follow in real time the expedition route thanks to the following Garmin map. Also contents on the Pax Arctica Facebook page. The team is in Tiksi today. Tomorrow we embark on SOMOV (our expedition boat) and will stay there for the forthcoming weeks! Part of our international team gathered in Yakustk yesterday and today flew North above the Lena river (http://science.nationalgeographic.com/…/p…/lena-river-delta/ ) in a Soviet-era Antonov 24. We landed in Tiksi. At last we are in the Siberian Arctic! Second part of the focus on the team members taking part in our latest expedition. The well-know explorer Victor Boyarsky will be the guide for this expedition. He is Deputy PR Director of the Russian State Museum of Arctic and Antarctic. His scientific background is in radio-glaciology. He took part in four Antarctic and numerous Arctic expeditions, in 1988 he crossed Greenland from South to North by ski and dog with international team, in 1989-1990 he participated in the International expedition "Transantarctica", the longest in history, 6500 km crossing Antarctic continent on ski and with dogs. In 1995 he organized and participated in the International expedition "Twin Pole" crossed Arctic ocean from Siberia to Canada via North Pole. Since 1997 up to know organized and participated in more than 30 expeditions to North Pole on ski and with nuclear icebreaker. He was at North Pole more than 60 times. He is a prominent Russian traveller, Honored Polar Explorer of Russia, Chairman of the Polar Commission of the Russian Geographical Society (RGS), member of the National Geographic Society of the United States, full member of the National Tourism Academy and the International Academy of Refrigeration, Candidate of Science in Physics and Mathematics and member of the Union of Russian Writers. Victor was a director of Arctic and Antarctic Museum in Sankt Petersburgfrom 1998 to 2016. He is author of six books about Arctic and Antarctic expeditions. First part of the focus on the team members taking part in our latest expedition: the scientists. Dr. Alexei Tikhonov is Director and Senior scientist at the Laboratory of Mammals at the Zoological Institute of the Russian Academy of Sciences (St Petersburg) and an associate scientist at the Museum of Mammoth in Yakutsk, Russia. A. Tikhonov is the scientific secretary of the Mammoth Committee of the Russian Academy of Sciences and a member of the Paleontological Society of Russia. His primary research has focused on the systematic extinction of elephants and ungulates at the end of the Pleistocene, as well as changes in mammoth physiology over time. Based in Toulouse, France, Mr. Eric Crubezy is a professor of Biological anthropology at Toulouse University 3. He is also the Director of UMR 5288 at the Centre National de la Recherche Scientifique (CNRS), Director of Archeological missions in Oriental Siberia at the French Ministry of foreign affairs and international development, and French Director of the international Laboratory between Russia and France. "Anthropobiologist, specialist of biological human history, from excavations to laboratory, my research program focuses on the interaction between genes and culture, and more specifically using data relevant to human biology to shed new light on human history : population settlements in the Holocene, the societies of the past -demography, epidemiology- and their funerary complexes. The program lies at the interface between the human and social sciences, and the life and environmental sciences. Research draws on excavations, the study of funerary complexes from different cultures and ecologies, and developing methods to study the biology of past populations." Natalya Volgusheva is a researcher at St Petersburg State University in the department of Cartography and Geoinformation. She works under the direction of Sébastien Gadal, full professor of Geography in Spatial Analysis and Geomatic at Aix-Marseille Université (Department of Geography, Planning and Environment), and researcher at the CNRS Laboratory ESPACE UMR. A one-month expedition will launch Sept. 11 to explore a virtually unknown region of the Russian Arctic and make the general public and decision makers aware of the challenges affecting this part of the world. The expedition is led by explorer Luc Hardy, founder of Pax Arctica, an organization that raises awareness of the impact of climate change on arctic, polar and glacier regions. At a time when no place on the planet seems inaccessible, one of the most extreme regions has yet to reveal its secrets. Above the Arctic Circle, the islands of New Siberia and De Long are still terra incognita... even if ancient and modern maps mention them; even if a few rare explorers trampled the ground of these "white zones" of which the smallest island are the De Long. In 1879, Captain George W. De Long and his crew of sailors and scientists left San Francisco aboard the American flagged USS Jeannette. De Long set out to reach the North Pole via the Bering Strait. But in the north of Siberia, the Jeannette and her 33 navigators found themselves trapped in the pack ice. After two years of forced wintering and drifting, the crushed boat eventually sank in the icy waters. In their attempt to reach the Russian mainland, the adventurers discovered the islands of the Arctic Ocean, which De Long baptizes Bennett, Jeannette and Henrietta. Twenty of the adventurers, including George W. De Long never reached the continent and died in the Lena river delta. In September 2017, a Franco-Russian-American expedition will launch to follow in the footsteps of the USS Jeannette starting from the port of Tiksi, in Yakutia. The mission of the exploration is to pay tribute to George W. De Long, his crew and the local people who helped them, but above all it is to observe and witness this little known yet threatened world. 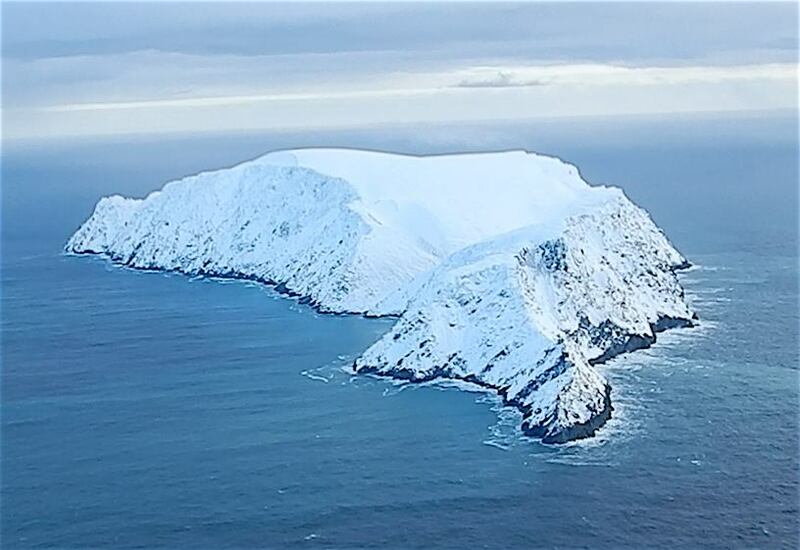 This (re)discovery of the islands of New Siberia is led by explorer Luc Hardy, a member of the Explorers Club of New York and the Society of French Explorers and founder of Pax Arctica. The expedition has received the Flag Expedition status from the New York Explorers Club. The Pax Arctica - RUSSIAN EXPEDITION 2017 NEW SIBERIAN ISLANDS is supported in part by the Prince Albert II of Monaco Foundation. For many years, HSH Prince Albert II has pursued a long family tradition of working to protect the environment and to promote sustainable development in order to face the threats menacing the planet. Among the Foundation's areas of activity, polar regions are one of its priorities. Prince Albert II is very familiar with the extreme regions of the globe and regularly speaks to this issue,"If the Arctic is (...) an advanced sentinel of warming, it is also a privileged witness of what we should do to save our planet, an essential example of the new economic and political model that we must invent to fight against this warming. The entire world needs the Arctic, a living Arctic, rich with the people who inhabit it and preserved from the dangers that threaten it. This is why it is our duty to invent in the Arctic, a new mode of development, an economy respectful of men and nature." The approach of the Pax Arctica - RUSSIAN EXPEDITION 2017 NEW SIBERIAN ISLANDS echoes the philosophy of the Prince Albert II of Monaco Foundation. The results of this expedition will provide valuable information on the effects of climate change on these regions and the consequences they can have on ecosystems. Geolocalized measurements will be carried out in order to better understand local signs of climate change. "Today, Siberia is severely disrupted by anthropogenic climate warming. The planet has now entered a vicious circle that must be interrupted as soon as possible. 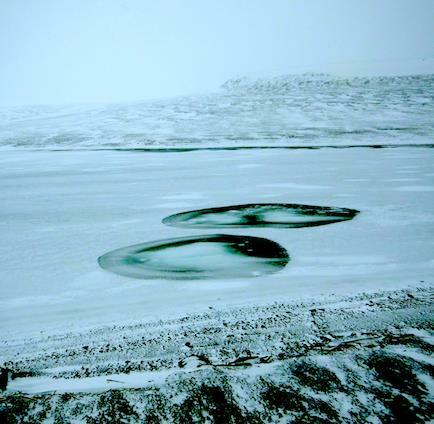 Climate warming accelerates a little more each year, the melting of permafrost will cause cascading disasters: subsidence of soils, crater formations releasing carbon dioxide and methane bubbles and sometimes even the anthrax bacteria! It is therefore essential to communicate relentlessly in order to raise awareness among international public opinion. What happens in the Arctic areas highlights the challenges facing us globally because of climate change and the global water crisis" Mr. Hardy said. Inspired by the great adventurers of the nineteenth century, Luc Hardy will embark on board the Russian Arctic research vessel - Mikhail Somov - in the company of renowned multidisciplinary researchers such as the paleozoologist Alexei Tikhonov and the anthropobiologist Eric Crubezy. They will address themes related to the human and animal settlement of Yakutia. Alexeï Tikhonov, scientist and Director of the Zoological Museum in St. Petersburg, will seek to show how the melting permafrost uncovers numerous remains of mammoths... "For the paleozoologist that I am, the disappearance of permafrost is a boon because the remains of many mammoths resurface. I can learn a little more about this extinct species by advancing science. But, more generally, the melting of permafrost is also a problem related to global warming that must be stopped as soon as possible!" The originality of this extraordinary adventure lies in the fact that it also welcomes artists (painters, photographers, musicians) such as Evgenya Arbugaeva, Zarina Kopyrina, Arkady Nasonov or Marie de la Ville Baugé, and extreme sportsmen such as Alexey Molchanov, the World champion free diver, and the French free dive champion Aurore Asso, who will attempt to dive at the site of the sinking of the Jeannette. These multicultural personalities, drawn from civil society, will take a sharp and sensitive look at this region through the lens of their creative talents. A documentary film about the Pax Arctica expedition will be directed by Bertrand Delapierre, author of numerous films including The Pursuit of Endurance - in the footsteps of Shackleton. 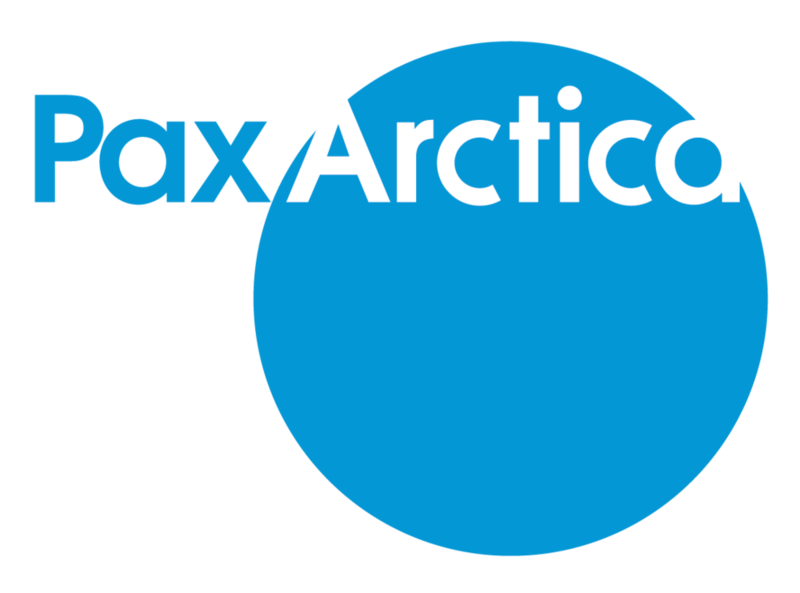 The Pax Arctica initiative was created to promote awareness of the threats facing the Arctic, polar regions and oceans, to convey a global message of peace, and to support the introduction of new ecological regulations. 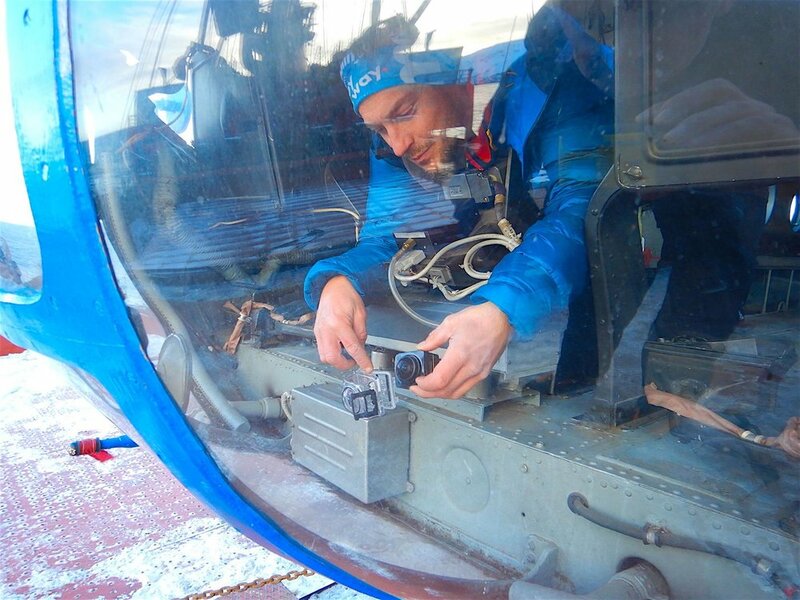 Pax Arctica’s work is done mostly through on-the-ground eco-scientific expeditions. In June 2006, HSH Prince Albert II of Monaco created his Foundation to respond to the worrying threats to the environment of our planet. The Prince Albert II of Monaco Foundation works to protect the environment and promote sustainable development on a global scale. The Foundation supports the initiatives of public and private organizations in the fields of research, technological innovation and practices that are aware of social issues. Since its inception, the Foundation has initiated or supported more than 400 projects in three priority areas: climate change, biodiversity and access to water resources.